For quite some time we were religious with our Office recaps, but then two things happened 1) we were working a paid job more than full-time and 2) the show became, well, inessential. We hoped to check-in during Steve Carell’s final season, but analyses was few and far between. But even though we weren’t providing regular reviews, the series was still required viewing. We might not follow-up the next morning with our thoughts, but we were still going out of our way to watch it Thursday night, as much out of habit as desire. But this season, with Carell’s Michael Scott off to Colorado, the show became the least appealing, least critical member of the lineup. Wait til Friday to watch Community? We’d rather not. Skip an episode of Parks and Rec? No way. But go a week without watching the latest The Office? Sure. View an episode of Robert California’s Dunder Mifflin out-of-order? Fine. We just didn’t care that much anymore. But a funny thing happened at the end of The Office’s eighth season. We were actually invested. We almost felt things, things that just nearly came close to approximating the real emotions that the show’s best seasons elicited. For the first time all year, the series seemed to find its voice. But, it should be noted, this brief renaissance came only after a dismal, uneven, uninspiring year, that began with the questionable decision to bring back James Spader’s Robert California as CEO and was punctuated by the terrible decision to bring back Catherine Tate’s Nellie Bertram via a useless, meandering trip to Tallahassee. Were there moments of humor? Absolutely. Big laughs? Lots, maybe even more than other seasons. Do we love Creed as much as ever? You betcha. But, as has been the trend for seasons, the show has lost its core voice, and the characters have been slipping into caricatures. Since around the time Michael and Jan had their second go ’round the show has been on a downward spiral, and this season they reached the end of the helix (we hope). We’ll admit that Robert California did grow on us, but that doesn’t mean he fit with the show, and nor did his presence make much sense. Also, as has been a trend with The Office, the later California – drunk, bizarre, inept – bares little resemblance to the man who Spader portrayed in the Season Seven finale. 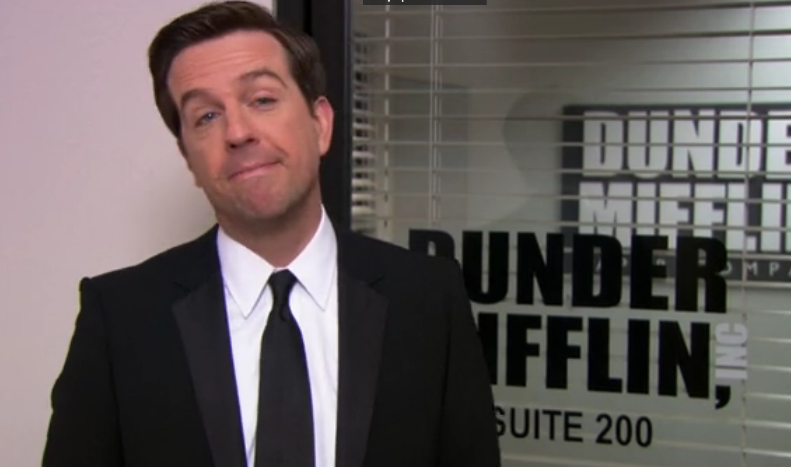 Even worse, his permanent residence at Dunder Mifflin precluded the show from giving new manager Andy Bernard center stage. We didn’t love the choice of Ed Helms’ Andy as new branch manager, especially since we thought the show hadn’t yet decided who Andy Bernard really is, but we were ready to buy it, to invest it in it. But the inclusion of California functionally kept Andy as a sniveling, buffoonish, hapless puppy in a powerless position. Even though we thought Andy as manager was too much cut from the same cloth as Michael Scott as manager, he needed to have the same authority as Michael Scott. But by stripping him of his power, he was inconsequential. They reduced Andy Bernard to a joke. And you don’t do that to your characters. The return of Nellie Bertram midway through the season in the interminable Florida tangent then was beyond unnecessary, it was insulting. If they wanted someone to come in and portray a female David Brent, then they should have just put Ricky Gervais in a wig. But to add another clown like Nellie was just throwing fuel on the fire. And allowing her to decamp to Scranton to usurp Andy’s position thoroughly tested our patience, and exceeded the bounds of what we could reasonably accept as remotely believable. We long ago dispatched with any protests about the close to a decade residency of the documentary crew at the DM office. It just is, there’s no use getting worked up about that. But they can still show the viewers a little more respect, still attempt to confine the story within the world that they’ve previously defined. And it truly felt, for most of the season, that they betrayed this agreement. It also appeared – for the last few seasons, in fact – that “funny” has been paramount to anything else. “Does it fit with the story or the tone? Nope. Is it funny? We think so. Then put it in!” Perhaps the writers and producers, fatigued by some 150 episodes, are feeding their indulgences. With the main star a year removed and others just about out the door, maybe the lack of commitment to the heart of the show is understandable. Perhaps they were tired of doing the same thing for so long, and put their own amusement above the audiences, above what was consistent for “The Office.” Which is their prerogative. But it’s made for a disjointed, unfulfilling couple of seasons. 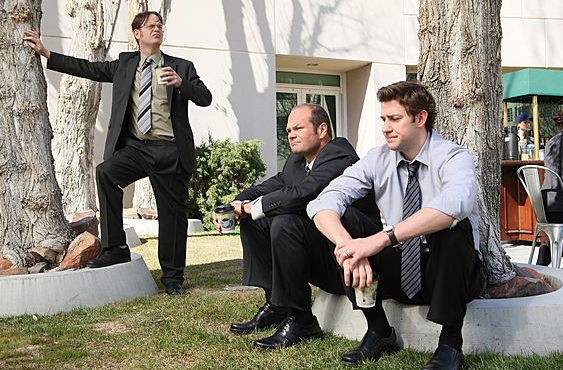 But just as we were ready to give up, to not only accept but welcome the announcement that there would be no Ninth Season, The Office delivered perhaps its best four episodes of the season, certainly its strongest multi-episode run. 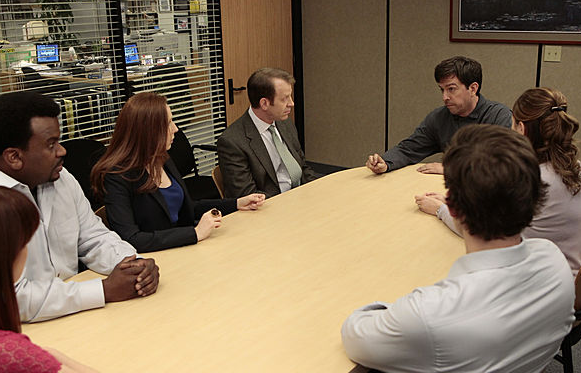 Andy has been treated miserably through the whole season: awarded the manager position, stripped of any authority or respect, made to abandon all responsibility to travel to Florida to embarrass himself with a grand proclamation of love to Erin, return to Dunder Mifflin to find that Nellie has taken his job, merely by the action of commandeering his office, hung out to dry by Robert California, and then fired. But, then, finally, there’s nowhere to go but up. And with the fourth-to-last episode of the season, “Angry Andy,” Andy Bernard – and perhaps the show itself – began his redemption. Finally, he stood up for himself, and by revisiting Andy’s anger issues the show recognized the past and hopefully started moving successfully forward towards the future. The penultimate episode, “Turf War,” in particular felt like a throwback episode, and not just because of the appearance of David Wallace. It reminded us, albeit with much lower stakes, of the Season Three episode “Branch Closing,” one of the series’ best. Yes, Andy more so saved himself than the branch, but it felt like it mattered, and, briefly, we actually cared. And who doesn’t love when Jim and Dwight have to band together, hitting the road united by the common good? The finale, “Free Family Portrait Studio” wasn’t devoid from any miscues. It still treated Andy as the jester and showed Robert California as more of a shady grifter and less of a hypnotizing Machiavelli. But when David Wallace does buy back Dunder Mifflin and Andy is reinstated as branch manager the show is somewhat reset, and it feels like it is in a much better place than it was all season. We were dismayed to see that Nellie will be sticking around as a “Special Projects Manager” (or so it appears), which is a not so secret code for “has no skills,” because beyond the character having no job skills she has no skill as a character that fits within the makeup of this show. But other than that trifle, which may or may not play a role come September, we are pleased to see Andy re-emerge as the manager and this time he’s finally earned it. We can only hope that he – and The Office – get it right the second time around. Well written season review! I do think the show is now reset for potentially a good ninth season. My only complaint is that they seem to be bringing back Nellie…I’m not happy about that! I will miss Robert California, but he really didn’t fit well in this show as CEO. If they had originally made him RM and made his character closer to the original incarnation it might have worked.